How Do I Start Yoga? Jenni Morrison-Jack is the founder and owner of Ihana Yoga, applied yoga anatomy expert, yoga teachers’ teacher and holistic health coach. 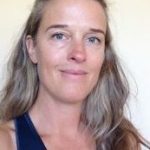 Jenni’s past studies (Master of Science in Business Administration) equipped her with an appreciation of scientific research that she now uses in yoga teaching, researching, writing and lecturing. 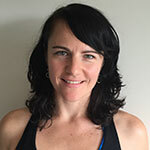 Jenni is recognised by her peers, as the expert of yoga anatomy, and has lectured applied yoga anatomy and asana in five different yoga teacher trainings both in Australia and overseas. She presents in national events, such as Yoga Australia Conference. Australian Yoga Life regularly features her articles. Coming from a rhythmic gymnastics background, Jenni saw yoga as another beautiful and relaxing form of exercise until 2005, when her regular yoga practice guided her through an emotionally tough year into personal transformation and spiritual awakening. Her desire to share passion for and knowledge of this holistic life style led Jenni to yoga teacher training in Mysore, India. She has spent 6 months altogether in India and in the Himalayas of Nepal studying asana, pranayama, yogic philosophy, chanting and Vipassana meditation, which further reinforced the inner journey that yoga is for her. Jenni’s life purpose as a teacher includes pioneering in the yoga industry. 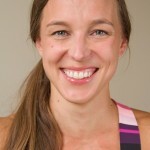 Her mission to raise the standards of yoga teaching has taken her first through four different yoga teacher trainings and later outside the yoga scene learning from health specialists, including an on-going mentorship with Carl Montgomery, Applied Integrative Medicine and Sports Conditioning Specialist, who has coached hundreds of Olympic Athletes. 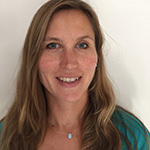 Jenni’s strength in yoga teaching combines her solid anatomical knowledge with the yogic wisdom teachings to explain how students can activate their body’s own healing mechanisms. 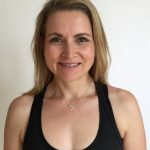 “Jenni is being frequently described as a ‘very charismatic’ teacher who ‘teaches intelligently’; students value the classes as ‘always well-planned in terms of developing students’ and praise her as ‘a true teacher, not just someone demonstrating postures’. In her ‘both very gentle and powerful’ classes Jenni is ‘very perceptive and gives adjustments only to those students who want them’. Growing up around football, ballet and modeling, Laura has a unique insight into the search for constant achievement, consistent improvement and perfection that pervades many of our lives. She aims to provide an environment where people feel that they can connect with themselves on a level completely free from the destructive pressures of competition, comparison and expectation. Laura describes this goal as creating ‘Space, Stillness and Silence’ in each student. She blends gentle, purposeful postures with yoga philosophy and the invitation to observe the subtle sensations of the physical body while being a witness to the movement of the mind in response to each practice. By maintaining this focus in her personal practice, Laura shares with her students that the ability to create space around any thought, feeling or event, to observe the immediate reaction and to consciously choose action or non-action has been her most significant gain from yoga and meditation. Kerstin has a background in artistic gymnastics and after attending her first yoga class in 2009, she was immediately fascinated by the gentle approach of this physical practice. The greatest gift of Kerstin’s yoga journey so far has been changing the mindset from pushing the body to perform externally defined movements, and instead honouring what body and mind need. Being a student of Jenni’s from the start, Kerstin experienced the benefits of precise anatomical alignment tailored to each individual student first hand. She is determined to passing this on in her teachings whilst encouraging her students to value and trust their own inner teacher. In addition to yoga, Kerstin enjoys her new role as a mum and follows her passion for sustainability and education. She also plays beach volleyball and looks forward to skiing untouched, snow-covered slopes with her friends in Germany/Austria. Emily’s early experiences of yoga were glimpses of her mother’s daily personal practice. However, it was only in her late teens that the desire grew to incorporate something both calming and strengthening into her own life – something that would help her manage the stress and uncertainty associated with her hectic modelling career. 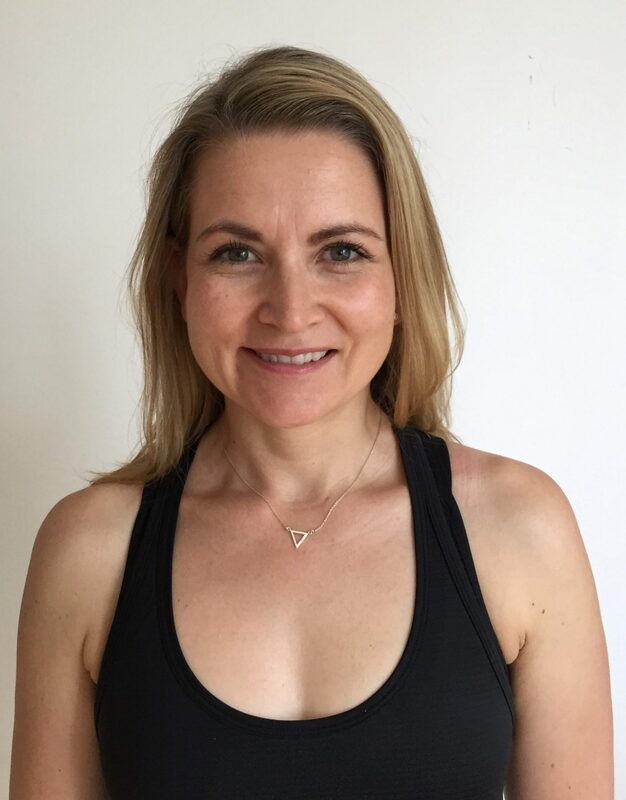 While living in London, Emily returned to movement practices such as ballet, Pilates and yoga, but it wasn’t until recovering from chronic neck pain that she really immersed herself in yoga. Yoga proved to be the perfect antidote to the fear of physical exertion still left over from years of coping with chronic pain. The practice also proved to be transformative spiritually, by fostering a deeper, more compassionate connection with Self. Emily is excited to share the physical and mental benefits of this powerful practice. 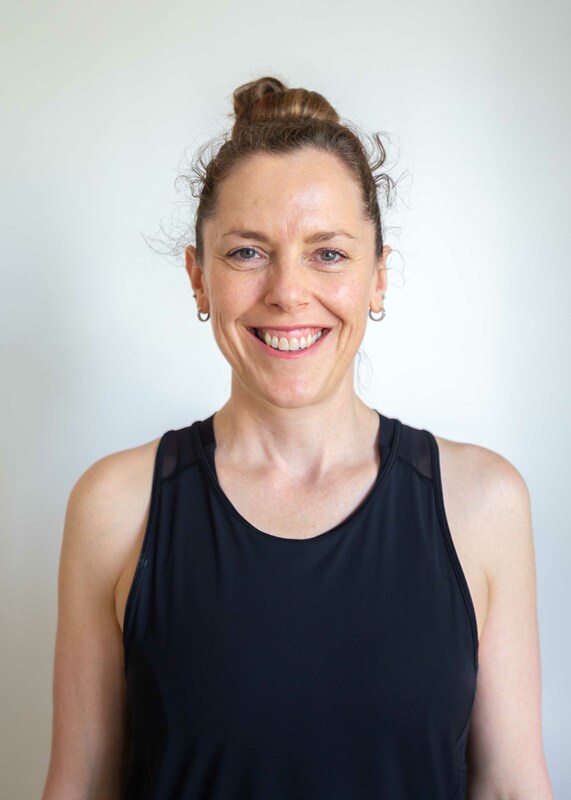 With an emphasis on natural movement and individuality in group classes, Emily aims to leave you feeling rejuvenated, calm and comfortable in your body. 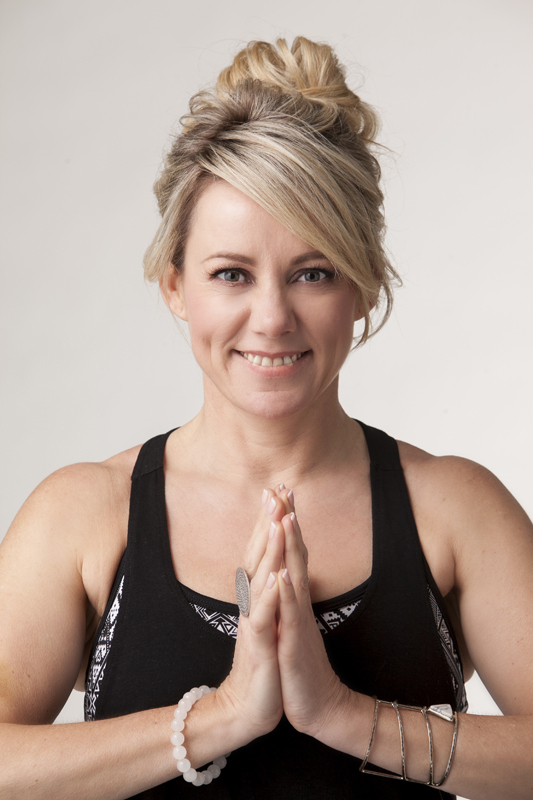 Sasha began her yoga journey over 18 years ago, at a small gym in the Melbourne suburbs. 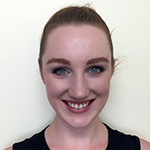 She continued dabbling in and out of the practice, whilst living and working overseas for 10 years, but found her true connection on return to Melbourne in 2009. Sasha’s passion for yoga comes from a unique place of self-healing. Having been immersed in the corporate world for over a decade, the daily practice of asana helped immensely in her recovery from a serious stress related illness. It was this experience and her regular teacher/mentor at the time, that encouraged Sasha to complete her 200hr yoga teacher training, so she could share her discovery with others. With a clear focus on good alignment, anatomy and building strength, Sasha teaches (and practices) slow and mindful movement which should feel good and right in your body. Expect to feel nurtured in her classes, but also encouraged to sometimes go beyond your expectations, all whilst feeling safe and having fun. Chali’s journey into yoga began in Thailand in 2000 when she completed a thai yoga massage course, practising yoga under the mango trees at 5am. The spark continued to glow through the ensuing years of travelling the world, living in Melbourne, London and Paris, and then through the earth trembling experiences of early motherhood. The spark really turned into a flame on returning to live in Melbourne, with a yearning to delve deep into committed daily self-practice, and a calling to teach this life enhancing, healing art and science of yoga. The eight limbs of yoga is pivotal in how Chali lives her life and approaches her work with others. A holistic health coach, with 14 years experience as a natural health practitioner, Chali’s classes are structured to cultivate a holistic experience, encompassing mindfulness and meditative elements to a physical flow. 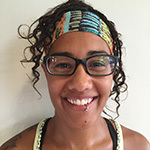 Chali aims to live by her truth, her authenticity imbues her teaching, and she is humbled by the privilege she has to guide others through their practice and healing journeys. Her aim is to create and hold space for others to be able to connect into their own vital force and healing potential. Tam is a creative at heart, and an eternal student, she loves learning new things and teaches because she has more questions than answers. When not exploring aspects of yoga, you’ll find her engaged in her other passions, graphic design, hanging out with her dog Maisie, art, books, travel, cooking, knitting, pretty much anything crafty or creative. Tam believes that yoga is an empowering self-care practice that encourages and supports personal reflection and growth. After sporadic practice through her 20’s, she returned to yoga in her 30’s looking to overcome persistent back pain… but found so much more. A truly holistic practice, yoga supports not just the physical, but also the mental, emotional and spiritual aspects of our lives. Tam thinks of yoga as a living tradition. While humbly acknowledging the ancient wisdom on which we build our interpretations, this is an experiential practice that is deeply personal. Learning to trust our individual experience and knowledge is part of the journey. She is excited and grateful to be able to share this practice with the wonderful Ihana community. Michele’s mother introduced her to yoga as a teenager in Sydney, under the well-respected Iyengar teacher, Martin Jackson. Yoga has been part of her life ever since and Michele brings the yogic principles to whatever activities she may be involved in. Being a second-generation yoga teacher she hopes her own children develop a love of yoga as well. Since becoming a parent, Michele has begun teaching yoga, learning more actively about the yogic way. She has found her passion, and intends to keep exploring this fascinating path. Michele has a long history of physical activity. As well as several styles of dance, she has competed at state, national and international levels for gymnastics, swimming and karate respectively. This experience makes Michele well versed in the competitive mentality of the western mind, as well as how to let go of this in a yoga practice. She also has extensive experience with injuries and how to work with them, both personally and as a teacher. Joelle is extremely focused and community minded. She lives with a very simple philosophy of truth & light. She walks with people on their journey always making time for anyone who requires her help/guidance. 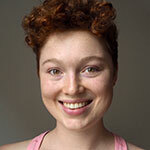 She loves people & is able to give experiences via a balancing act of yoga & youth work. She is not one without the other. She believes in balance- physically, mentally & energetically, so after completing a Bachelor of Social Science/Youth work, she continued her learning exploring her other love- yoga. Having practiced for ten years she began her Teacher Training course at AYA. 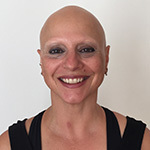 Teaching since 2012, Joelle has continued to further her exploration of yoga in various workshops exploring the spirituality &, philosophy of Yoga, Meditation, Adjustment & Alignment & intensive workshops with Simon Borg Olivier, Nicky Knoff, Ihana Yoga and more. Paul was introduced to yoga by his best friend in 2012 with some quiet backyard practice, and was hooked from his first official class soon after. As a coach of movement and a personal trainer, Paul considers yoga a great compliment to his own movement training and to the coaching of his clients. 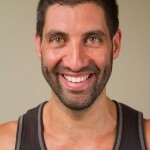 He has seen first hand in both his own and his students lives the positive outcomes of a regular yoga practice, new focus, new strengths and new outlooks on life. Taken under the wing of Jenni from the very beginning of his yoga journey, he found great appreciation in the clear, concise and anatomy based teaching that Ihana prides itself on. He carries this into his teaching and private practice as well. Outside of yoga Paul loves surfing, tearing up a dance floor, and his puppy Squiggly Bop. Karen travelled extensively around the world for 14 years living for extended periods of time in India, China, Tibet, Europe and the Middle East learning of different cultures, religions and philosophies. It was in 1995 in Dharamsala India that Karen’s yoga journey began. As she began to feel the transformation yoga had in her life she felt inspired to share the gift of yoga with others. 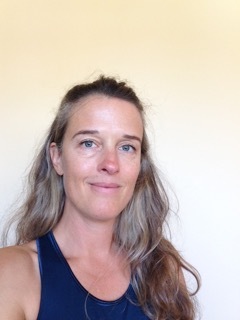 Upon Returning to Australia she has since completed her yoga teacher training, as well as 3 additional trainings including Ihana Yoga’s Post Graduate YTT. She strives to cultivate happiness and balance through mindful living, hoping to inspire her students to do the same. With that mentality she teaches her classes from her heart creating an uplifting, safe environment for students to begin to explore and expand within their own body and consciousness. She is continually inspired by yoga’s transformative power—both internally and externally. She strives to bring a sense of fun, freedom and kindness to her classes. Fiona came to the practice following the birth of her first child as a means of easing the body back into movement. She quickly discovered the transformative benefits of yoga for the physical body and mind as well as its ability to bring a deep sense of balance and overall well-being that counteracts the stresses of modern life. Passionate about living the essence of yoga every day, both on and off the mat, Fiona is committed to the ongoing exploration of the path. She teaches sequences that are creative and flowing while keeping a close eye on safe alignment. Students are encouraged to turn their awareness inward during the practice, move consciously and connect with the needs and abilities of their own unique body. Fiona aims to help enable her students to step off the mat feeling more connected with Self, more spacious and balanced.